With very few exceptions, our Birdorable cute bird illustrations are of adult plumage birds. If you think they're cute as adults, what about when they are babies? 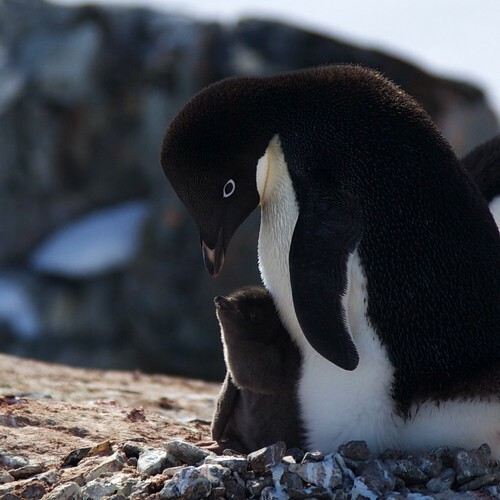 Here are some baby photos (shared via Flickr) of the Adelie Penguin. Pretty cute, right? 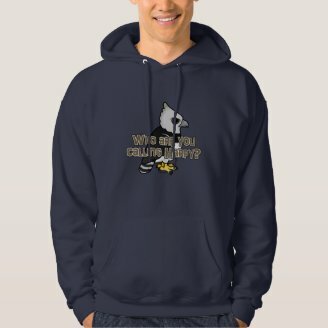 Be sure to check out our (adult) Birdorable Adelie Penguin gear! Birdorable fan Ashira recently asked us for a 'blank' warbler coloring page, so she could color in different species. She shared her Bay-breasted Warbler and Magnolia Warbler coloring pages with us. Don't they look great? You can see all of our warblers here: Birdorable warblers. If you've colored in any of our Birdorable coloring pages, we'd love to see what you've done! Thank you for sending these to us, Ashira! We have two new Birdorable coloring pages for anyone who loves to color! They are: the Great Blue Heron (which can also be colored as a Grey Heron) and the endangered Hyacinth Macaw, a beautiful parrot from central South America. Go to Coloring Pages to download these two new PDFs and check the Meet the Birds page to check the colors. 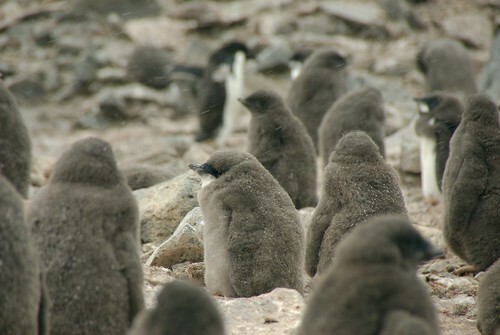 These downloads will be available until 31 March 2010. Check here for more coloring pages. Subscribe to the Birdorable Blog by RSS feed or by email to get notified when new downloads like this are added. 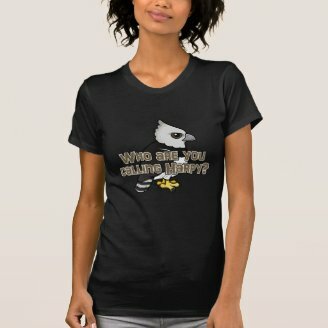 T-Shirt Tuesday: Who are you calling Harpy? 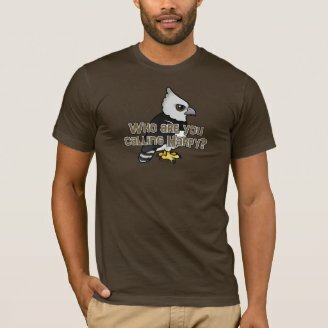 Today's featured t-shirt is this funny Who are you calling Harpy? 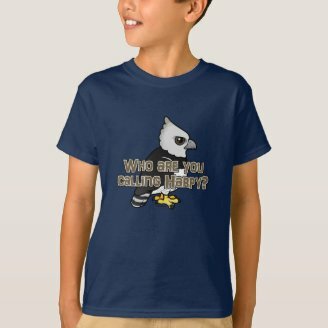 design with our Birdorable Harpy Eagle. A Harpy is a mythological Greek winged spirit known for stealing food. The Harpy Eagle is named for this mythological animal, but the word harpy is also used to describe a predatory person, or more commonly, a shrewish woman. Most women would probably not like to be called a Harpy, but fans of the amazing crested bird of prey probably don't mind. 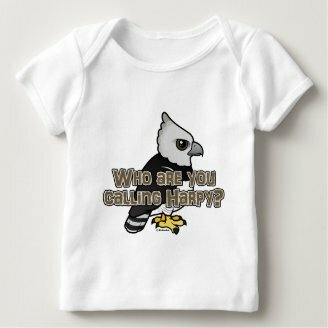 Our cute Birdorable Harpy Eagle stands here with the funny phrase "Who are you calling Harpy?" 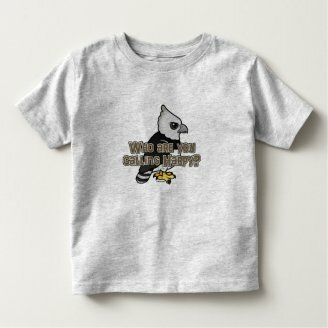 Our highlighted t-shirts this week feature our Birdorable White Stork in It's a Boy and It's a Girl designs, shown here on our maternity tees. 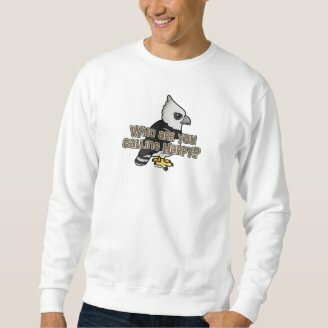 Both designs are available on the chest and belly area and on white, pink or black shirts. 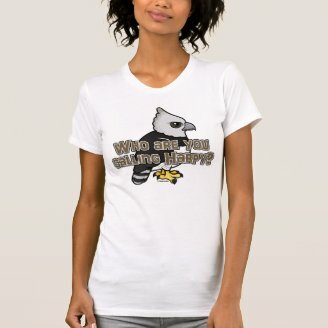 Click here to view all Birdorable Stork maternity shirts. Our 100% cotton mid-weight jersey maternity tee is super soft and comfortable. Do you ever feel sleepy while working at the computer? This adorable video of a lovebird dozing on a laptop might inspire you to go take a nap right now yourself. Be sure to check out the super-cute yawn towards the end of the clip.